The Basque Country has a solid industrial base. Industry represents 24.2% of the GDP, making the region an attractive competitive hub which is strongly supportive of Industry 4.0.
autonomous community in Spain: 2.03%. 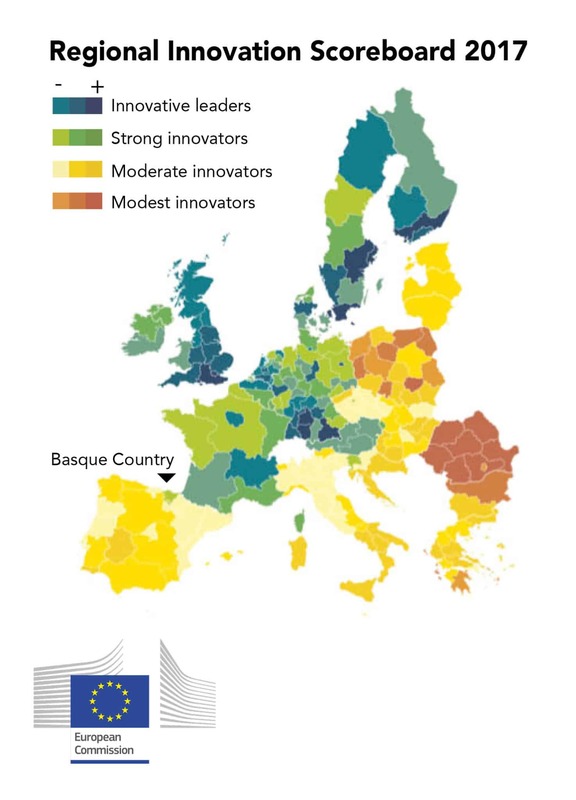 The European Commission has recognised Euskadi as being a highly innovative region within Europe. UPV/EHU, the public university of the Basque Country, is made up of more than 50,000 people and is responsible for 65% of the research undertaken in Euskadi. The university has already produced a quarter of a million graduates in the most far-reaching areas of knowledge. The Professional Training provided by the Basque Country represents the EU's most important ‘trials bench’ for the introduction of learning in applied innovation. according to an OECD report which measured variables such as health, education, employment, income, security, the environment, civic participation, access to services and housing.